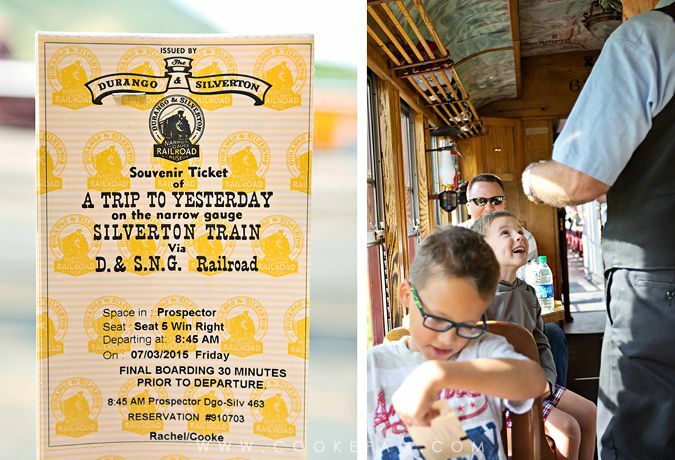 When I was researching things to do on our family trip to Durango last summer, I really wanted to ride the train from Durango to Silverton. It's something I did as a kid (a long time ago) and wanted to do with my kids. But I wasn't sure they were old enough (they're 7 and almost 5) to sit through even one half of the full journey. And I couldn't find any information on other people's experiences online. So, I'm sharing mine here...maybe it will help someone decide whether or not to do it with their family. 1. Consider only doing the one-way trip. 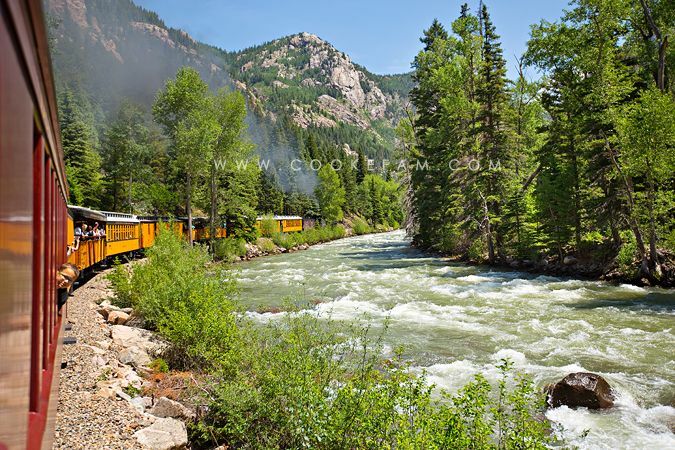 My parents met us in Silverton with our rent car and drove us back to Durango, which is much faster than riding the train all the way back. We felt like we'd seen the scenery and it would be asking a bit much for our boys to ride a train for nearly 8 hours. The half-trip is almost 4 hours. Round trip is almost 8. If you don't have anyone to meet you in Silverton and take you back, consider taking the bus back. It's a service provided by the railroad throughout most of the year. 2. Take Snacks. Take water bottles too, if you are not in a car with beverage service. There is a snack car, but I loved having our stuff in my backpack right there with us. And in fact, due to problems with the train that left before us, we were delayed almost 3 hours and the snack car completely sold out of their food. Boy was I thankful for my snacks then. We were supposed to eat lunch in Silverton, but arrived there mid-afternoon. My boys would have been so cranky and starving if I had not brought snacks with me. 3. Bring activities and/or small toys. I don't suggest bringing anything big, and definitely not anything loud. I brought a couple of coloring books and crayons. My boys also brought one stuffed animal each because they love them. Other kids might like small cars, figurines, etc. 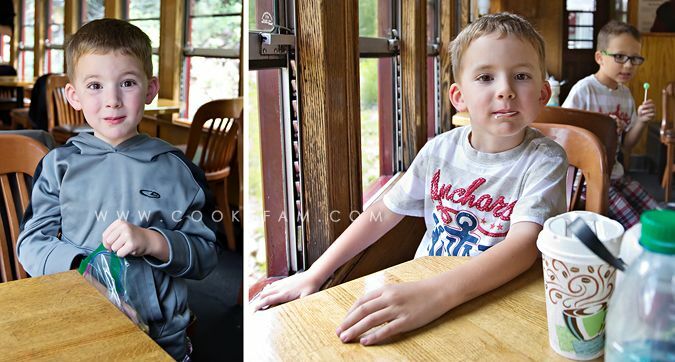 I almost wish I had brought our spare small digital cameras for the boys to take photos. They would have loved that. 4. Take coats/jackets even in summer. We traveled at the beginning of July and put our coats on (and off) several times throughout the trip. 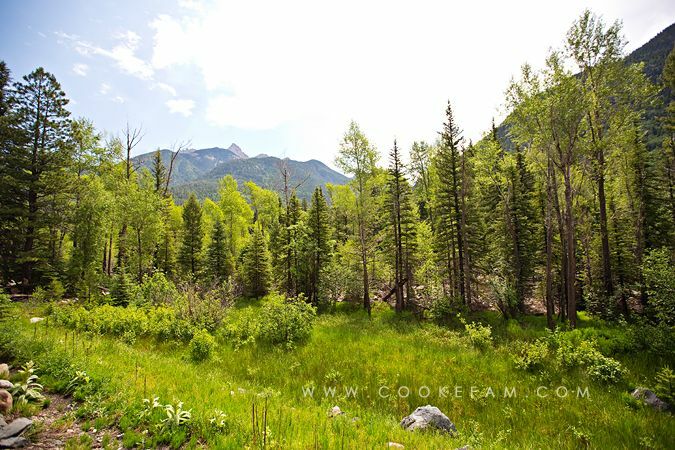 As you go higher into the mountains, it will get cooler. This is especially important if you are in a completely open car (see my recommendation for that below). Take sunglasses too if you usually like to wear them. 5. Get "Real" Tickets. If you buy your tickets online and print them out at home, stop by the train station sometime before your trip to exchange them for souvenir tickets. They're much more fun to have than just paper print outs! The conductor will punch them for your kids. Ours loved this. I am a photographer and you better believe I wanted photos. Our windows stayed open almost the whole time and were perfect for taking photos. We did close them when we passed through a huge downpour and it briefly hailed. We would have been totally exposed to the elements in an open car when that happened. Finishing out the trip soaking wet would not have been my idea of fun. The coal dust settles on everything. It is guaranteed that you (and everything with you - bags, cameras, etc.) will be covered in it if you are in an open car. There is no escape. You can always go stand at the back of your car at any time if you want some space and more fresh air than the open windows allow. But really, the closed cars are great and provide a little more shelter from the unpredictable elements. 2. 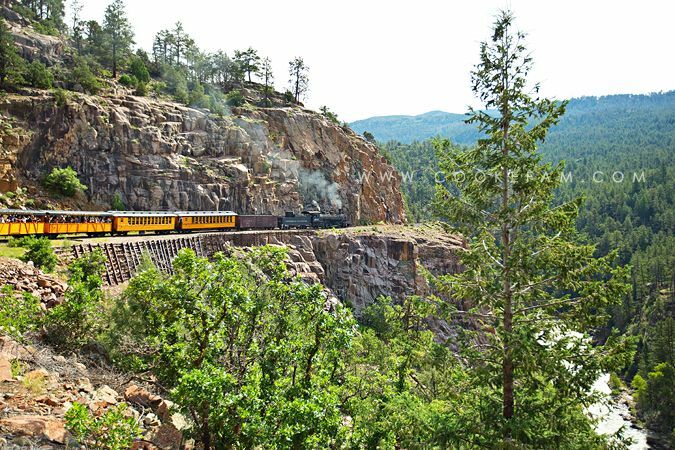 Get seats on the RIGHT side of the train for the trip from Durango TO Silverton. The left side will be preferred on the way back. 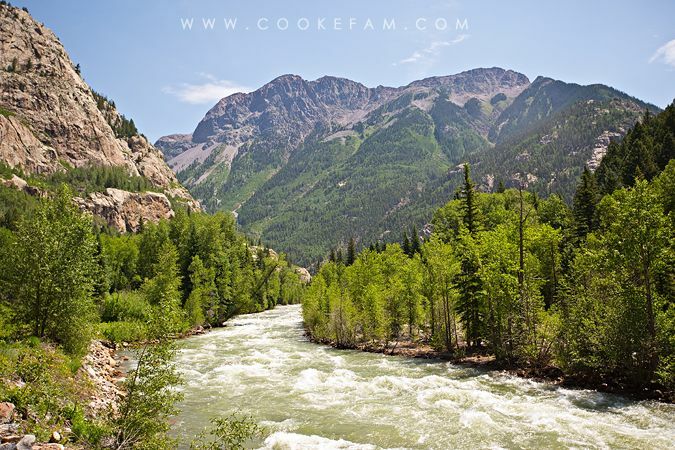 The gorge and most of the great scenery are on the right on the way to Silverton. If you have to sit on the left, don't worry, you'll probably still be able to look out the windows on the other side. 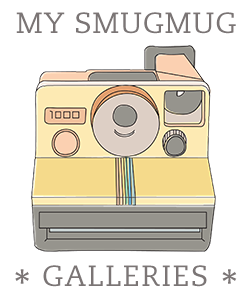 But your photo opportunities without other people's heads in your photos will be diminished. 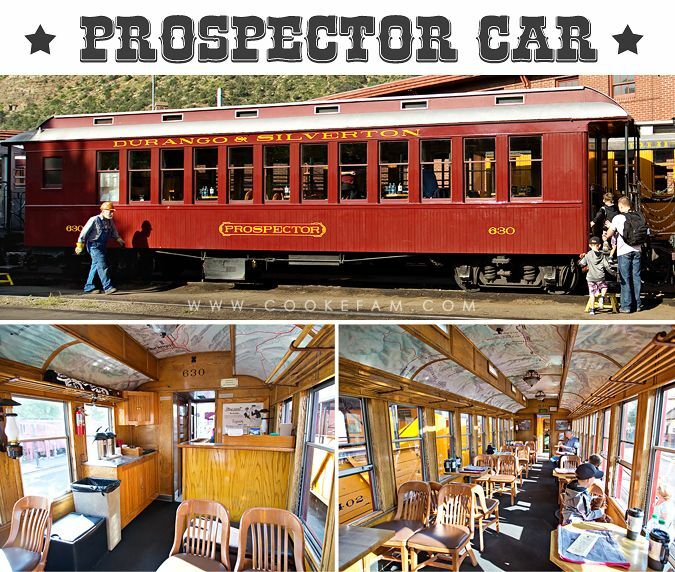 Just a note: we had seats in the Prospector car, which allows children and serves unlimited complimentary beverages. Our car attendant also told us facts and alerted us to approaching photo ops during the trip. He was great and we really enjoyed this extra service. Also, because we had two tables for two on the right side of the train, we ALL had seats directly next to the windows. None of us ever had to lean over someone to see out. 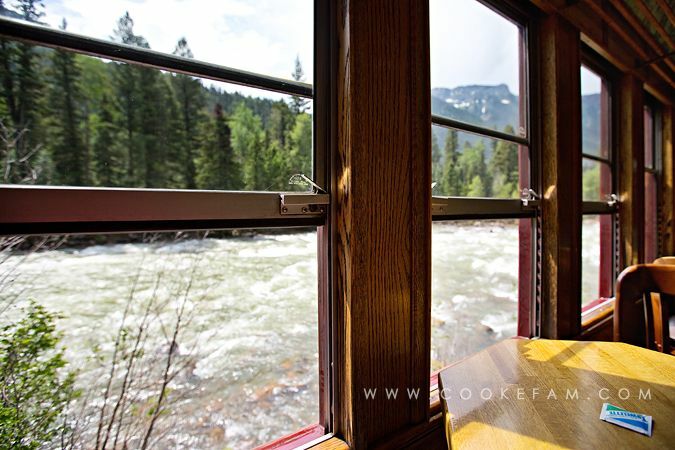 To read and see more about our specific train ride, see my post about it. Thanks for the great info! We're planning to ride the train this summer and I was leaning towards the open car but your post has me leaning the other way. I was worried about not being able to get good pictures or see enough but it doesn't sound like that's an issue. I have fond memories of riding the train as a kid and am looking forward to taking my kids. This post was extremely helpful. Thank you for sharing your experiences. 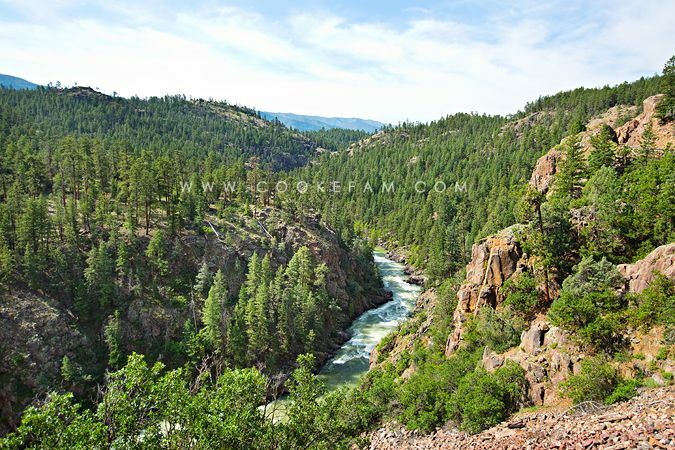 We are heading to Coloroado this summer and are considering the train ride with a three year old and a six year old.